Simple ideas always equal brilliant outcomes well executed, and this cover is no exception. Red Sonja gets a little Wild Things on the cover to her latest issue, and it's not just the warrior woman who is rising. Starting with her first appearance in Vampirella of Drakulon and spanning every fear-fraught issue from the first five years of Vampirella Magazine, this 448 page tome introduces one of horror comics most iconic characters, and the Conjuress, Pendragon, Adam Van Helsing, the Cult of Chaos, and the undead lord Dracula! The Gold Key Universe begins here! Shunned from his tribe, a young Native American named Turok fights to survive in the unforgiving forest. But his hard-won cunning and survival skills face the ultimate test when man-eating Thunder Lizards attack his people! Why are dinosaurs here? How have they survived? And will Turok use his abilities to save a society that's taken everything away from him? What do you think? For Dynamite's full February 2014 solicitations, click the jump! 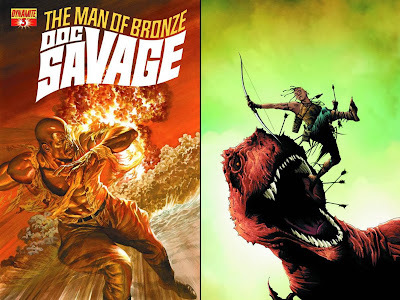 I got a couple of old Doc Savage pulps from a friend the other week and was all set to post a long comment about this oft-forgotten character, but will have to leave it until later this week as work has kept me busy. Might pick up this comic if I can. Hi Karl, thanks for that. I'm a HUGE Doc Savage fan - ever since he teamed up with my favourite Marvel man of the times, The Thing in Marvel Two-In-One #21. I jump whenever I see that classic logo back in print, and no doubt will do so again. 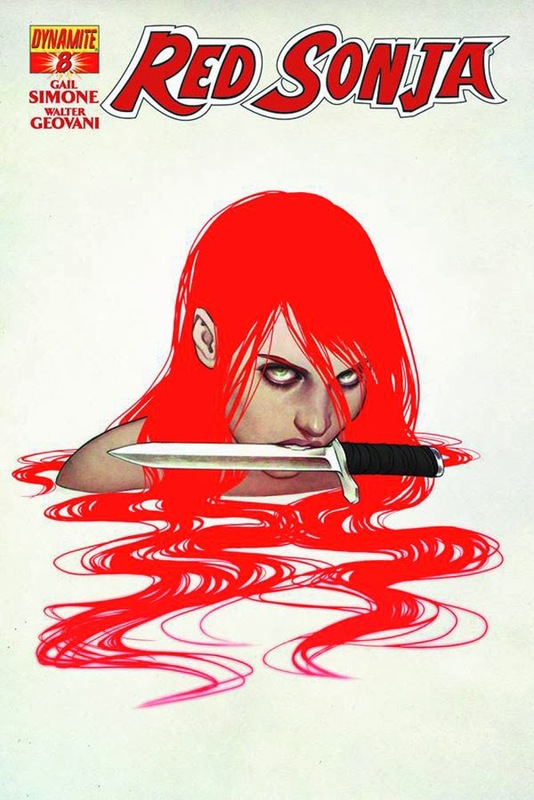 WOW that Red Sonja cover's amazing! Simply stunning design!! Hey Marcelo - glad you liked it mate - less is truly more huh?